CHILD SAFEGUARDING: (select only one)Level 3 – the responsibilities of the post may require the post holder to have regular contact with or access to children or young people. As part of these responsibilities the post holder will promote a culture of keeping children safe, and ensure that potential harm to children (by our own staff and/or as a result of how we do our work) is identified and addressed on an ongoing basis. The post holder should report and respond to interventions as determined by position related responsibilities identified in the Child Safeguarding Policy. Under direct supervision of Kibondo field office Finance Coodinator, ECHO Consortium Award and Finance Coordinator is expected to support the Award Management team in the planning, securing and managing of ECHO funded program. The position involves supporting award information management and compliance with systems and processes. Equally, s/she is expected perform financial duties around accounting cycle and internal control environment, including; to ensure accuracy of accounting records & system, adherence of organizational policies & procedures and to ensure compliance of statutory obligations. Under the direction of an Award Manager and or Kibondo field Office Finance Coordinator, the ECHO Consortium Award and Finance Coordinator will be responsible for supporting the ECHO Consortium partners to adhere to all award management obligations internally as per their policy and procedures and externally with donors. This role will work closely with PDQ and Program Implementation/Program Operations on proposals, financial and narrative reporting, monitoring and analysis and compliance processes. In the event of a major humanitarian emergency, the role holder will be expected to work outside the normal role profile and be able to vary working hours accordingly. SCOPE OF ROLE: Save the Children has been operational in Tanzania since 1986 providing support to children through developmental and humanitarian relief programmes delivered in support of Government of Tanzania priorities and policies both directly and through local partners. We currently have an operational presence in Shinyanga, Mbozi, Zanzibar, Songwe, Kigoma and with Dodoma, Singida, Rukwa, Morogoro and Iringa. We also work through partners in other parts of the country. We employ nearly 100 staff and have an annual operating budget of approximately $14.5 million. Save the Children leads the Burundian Refugees´ Access to lifesaving Protection and Education Services in Refugee Camps (Mtendeli, Nduta and, Nyarugusu) Tanzania. 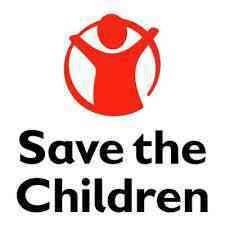 The Consortium consisting of Save the Children, Plan International and IRC as strategic partners. The consortium is about to implement a 12 month project under the current 2019 HIP ECHO action plan for Great Lake Region, funded by European Commission Humanitarian Aid and Civil Protection (DG ECHO) with a focus on Education in Emergency and Protection. Ensure all payments to suppliers are made in a timely and accurate manner. Request cash transfers from Dar es Salaam in consultation with ECHO consortium Program Manager to ensure adequate but not excessive cash is held in order to carry out programme activities. Prepare a list of outstanding floats for ECHO consortium Programme Manager on a weekly basis and follow up and ensure retirement of all floats within TWO weeks. Advise the ECHO consortium Programme Manager of any operational challenges or discrepancies relating to the financial management of the programme in a timely manner. Makes sure Events and workshop MPESA payments are planned properly for cash flow purpose and during the events documentation are collected and initiated in MPESA for timely payments. Problem solving skills to address and work through issues when they arise. S/he will assist the ECHO Consortium Programme Manager of any operational challenges or discrepancies relating to the financial management of the programme in a timely manner. Ensure SCI’s policies on Fraud and Dishonesty are followed in daily routines, and complied at all level in accounting cycle. In collaboration with the finance team s/he will ensure that the team understand and know how to use the appropriate budget codes under each award. Strong analytical skills, computer literacy and excellent documentation skills are a must.